The physicians at Ingleside Medical Associates (Drs. Brown, Carnuccio, Schreier, and Stoltzfus) were named 2016 Main Line Today’s “Health Care Heroes” for their work both locally and globally. 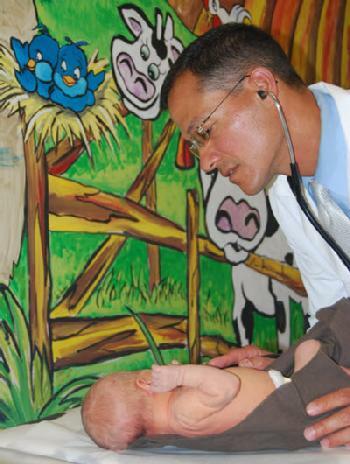 It is their desire to provide excellent primary care for all ages, from newborn to centennials. Their range of care includes treating acute illnesses to chronic problems and providing preventative medicine to up-to-date wellness programs. 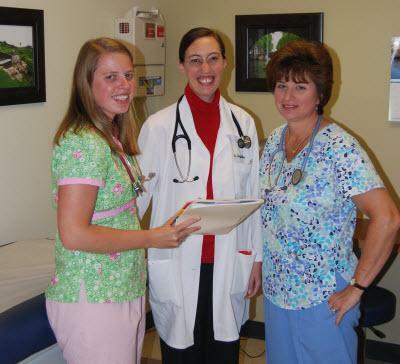 School physicals, workers compensation evaluations, and Commercial Driver License physicals are all routinely provided. We currently have two offices. The main office is in the Creekside Professional Building located at 200 Municipal Drive in Thorndale. This state of the art facility is equipped with ten exam rooms, two procedure rooms, a complete laboratory, an X-ray facility, and a large, comfortable waiting room. Our satellite office, Ingleside West, is located in the ARA Center at 4223 W. Lincoln Highway, just west of the Route 10 & 30 intersection in Parkesburg. We also provide a full level of care at this office including routine medical care, lab draws and minor surgical procedures. This office location is often more convenient for our western Chester County and Lancaster County patients.